Carolyn Howard-Johnson’s poem from her unpublished chapbook Nushu and Other Silenced Voices, “The Writing Woman” will be published in the next issue of Flagler University’s Flagler Review (FLARE . Flagler was founded in 1968 in historic St. Augustine, FL. On 19 acres, the centerpiece of which is the Ponce de León Hotel, built in 1888 as a luxury hotel. The architects were John Carrere and Thomas Hastings, working for Henry Morrison Flagler, the industrialist, oil magnate and railroad pioneer. Carolyn Howard-Johnson’s poetry appears frequently in review journals. 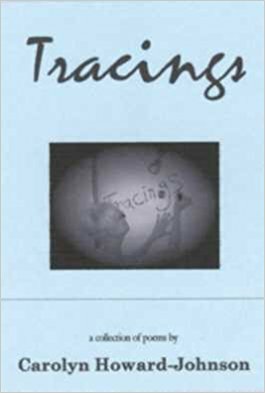 She is listed in Poets & Writers highly respected catalog of poets and her chapbook of poetry, Tracings (www.bit.ly/CarolynsTracings), published by Finishing Line Press was given the Award of Excellence by the Military Writers Society of America. She is an award-winning novelist and short story writer, was given her community’s Diamond Award for Achievement in the Arts, and honored by members of the California Legislature as Woman of the Year in Arts and Entertainment. You’ll find more information on her poetry at http://howtodoitfrugally.com/poetry_books.htm. Download a media kit for Howard-Johnson from the media room at http://howtodoitfrugally.com. Cover art and other images are available on request.